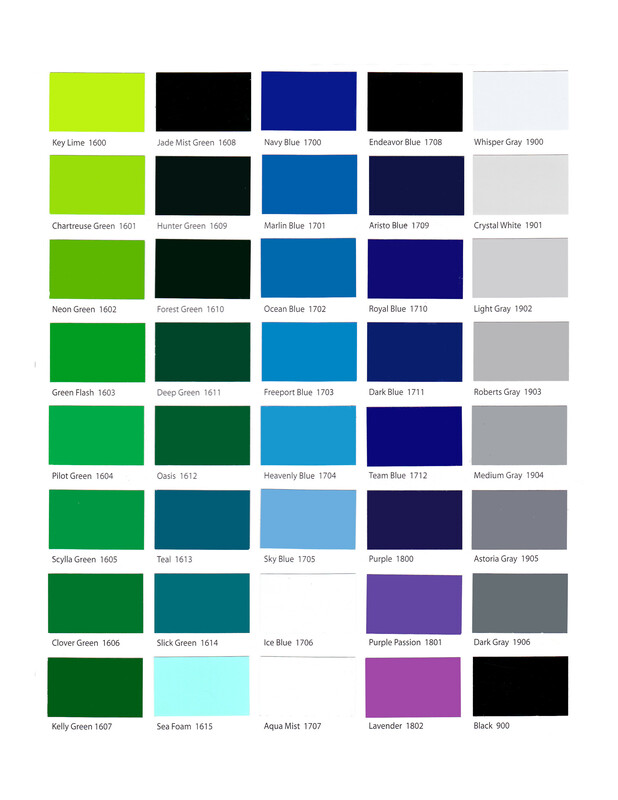 Below are images of the gelcoat manufacturer colors we offer for the outside hull color. 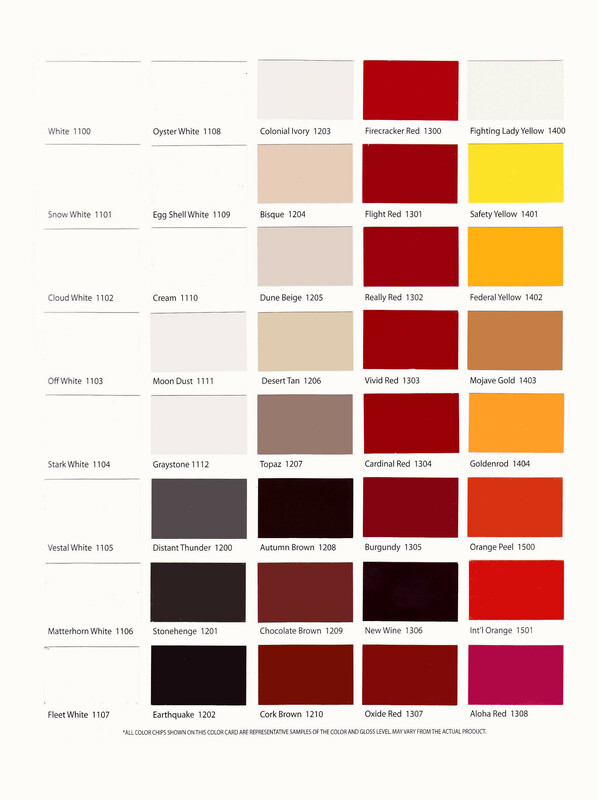 As these are scanned images of their color cards, the actual gelcoat colors will not be a perfect match to the colors on your screen. You can see that the subtle shades of white do not show well at all.